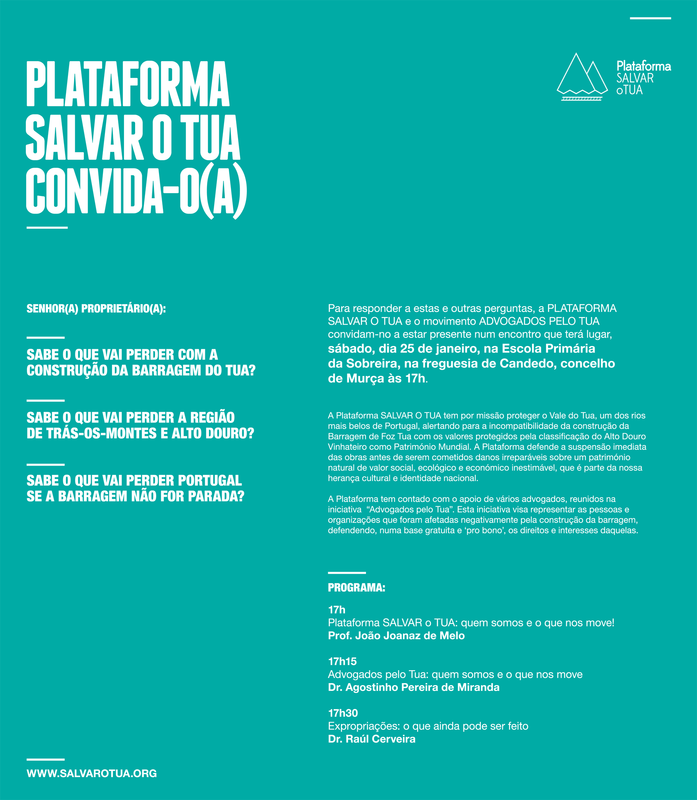 On June 19th, at 05.00 pm, the Platform organized a press conference to raise awareness for this cause, at Fábrica Braço de Prata, in Lisbon. On February 20th and 21st, the first edition of the National Forum of Civil Society Networks took place at ISCTE-IUL, under the thematic “The challenges of portuguese civil society face to the social and economic scenario and future development agenda post-2015”, with the purpose of increasing the debate of a cross-section of society. 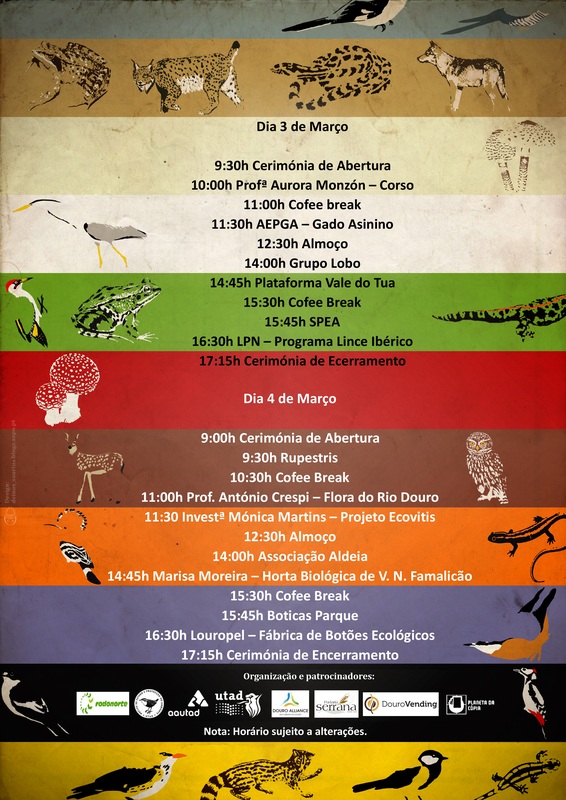 On the February 21st, at 10.30 am there was a meeting about environmental issues with João Camargo of LPN and Vice-President Of the Platform Save the Tua. The speech of João Camargo was about the challenges and difficulties of the Platform Save the Tua concerning the National Dam Program, focusing issues such as the uselessness of the Foz Tua dam for the current consumption of energy in Portugal, the irreversible impacts of the dam on all levels, culturally, socially, ecologically and economically and also the presentation of alternatives to the NDP that benefit the Portuguese people. At the end, there was time for the participants to speak out about the issues discussed. The exhibition “O Tua é teu!” inspired a talk/debate/dinner were stories and memories were told and, most important, it was a place to learn how to contribute to the preservation of one of the most beautiful rivers in Portugal! With Mário Sousa (author of the exhibition), António Manuel (History teacher from Mirandela), João Joanaz de Melo, (spokesperson of the campaign “Save the Tua”) and Agostinho Pereira de Miranda (representing the movement “Lawyers for the Tua”). Meeting at the Tua Valley to clarify the impacts of the dam. Download of the programme here. Photography exhibition “O Tua é teu”. On the January 20th the Professor João Joanaz de Melo was invited to the program “Olhos nos Olhos, hosted by Medina Carreira, on TVI 24 channel, at 09.30 pm. 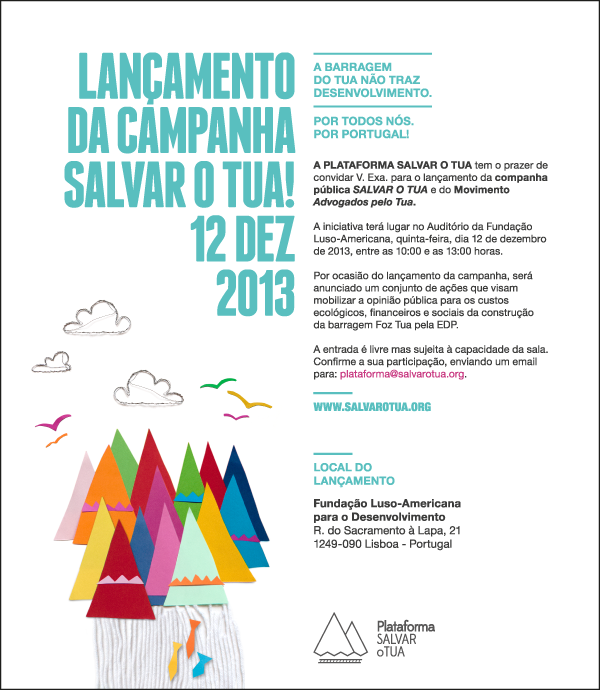 On December 12th of 2013, the Platform Save the Tua presented the campaign Save the Tua. 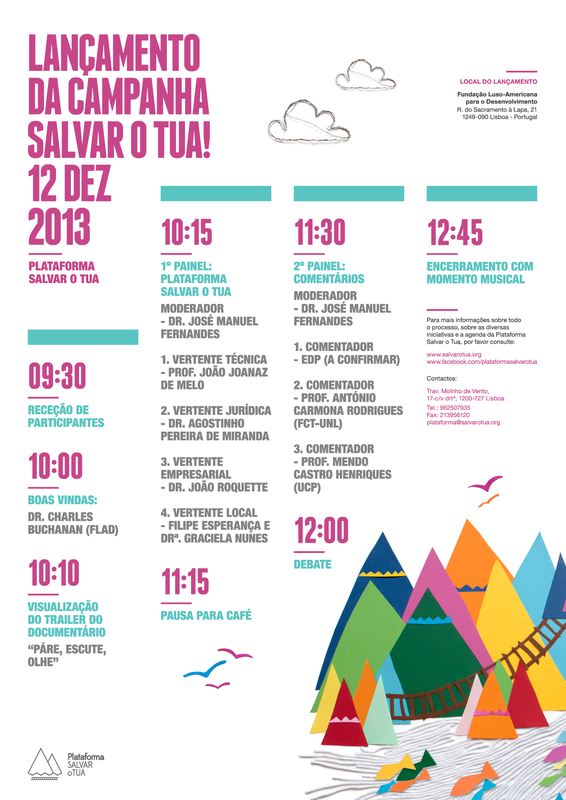 The event took place at the Auditorium of the Luso-American Foundation, from 10.00 am until 01.00 pm. See program here under. 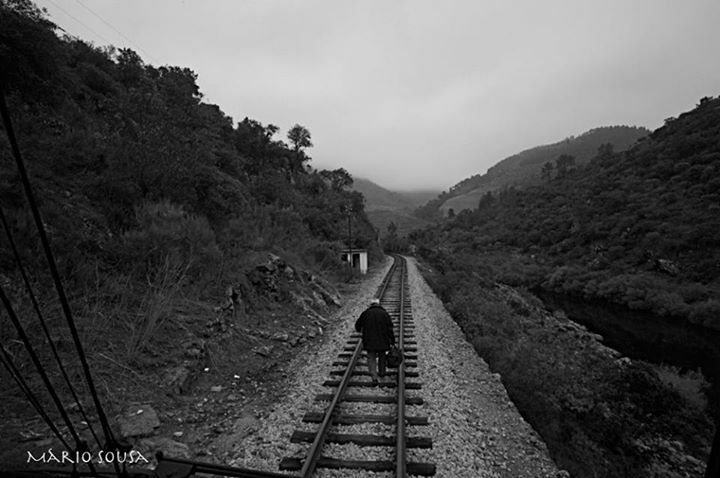 The campaign Save the Tua has the purpose of raising public awareness about the economic, environmental and social costs of the dam, showing that there is no reasonable ground to justify the destruction of the Tua Valley, part of the portuguese legacy and identity. On the morning of thursday was presented a plan of activities to mobilise public opinion about all the ecological, financial and social costs of the Foz Tua dam planned by EDP. On this meeting, was also presented the movement of lawyers named “Lawyers for the Tua”, which have been in charge of the legal representation of the Platform. Among its members we name the former President of the Lawyers Bar Association, Augusto Lopes Cardoso, the lawyers Agostinho Pereira de Miranda and Manuel Magalhães e Silva and the professors Lebre de Freitas, Elizabeth Fernandez and Almeida Ribeiro.